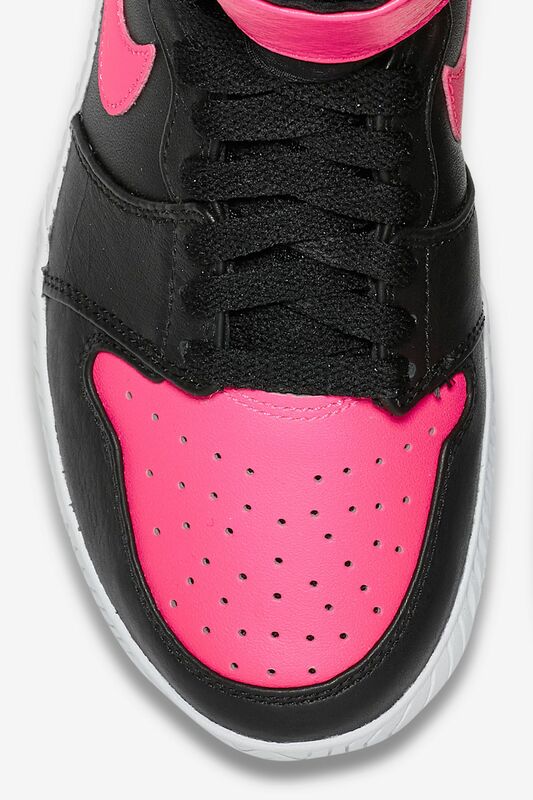 Referring to the Air Jordan I as Serena Williams’ favorite sneaker is an understatement as big as her championship-winning serve. 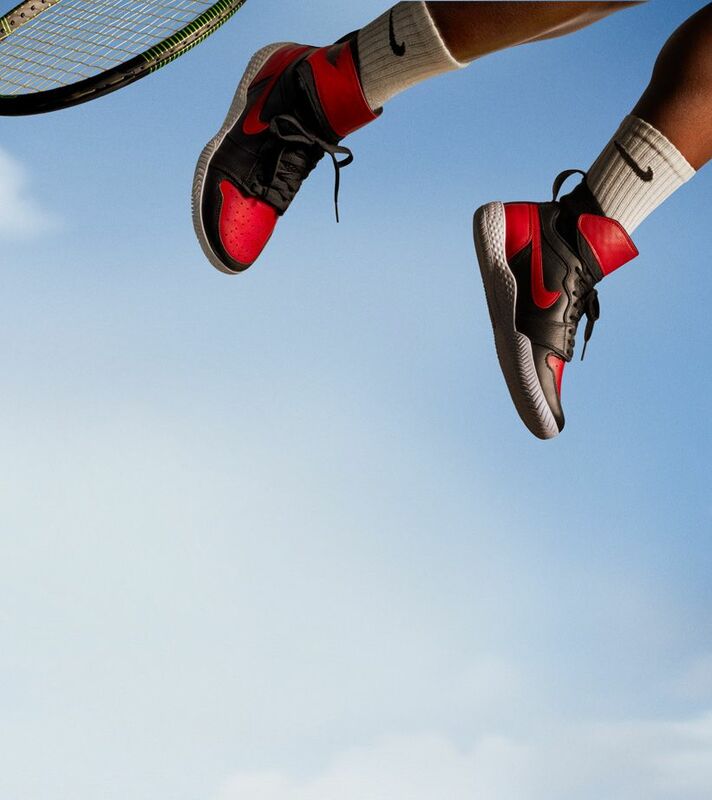 Since 2004, the year she first signed with Nike, Serena has been lacing up the same beloved pair of Air Jordan Is for press conferences, celebratory galas, appearances and trips to training sessions. 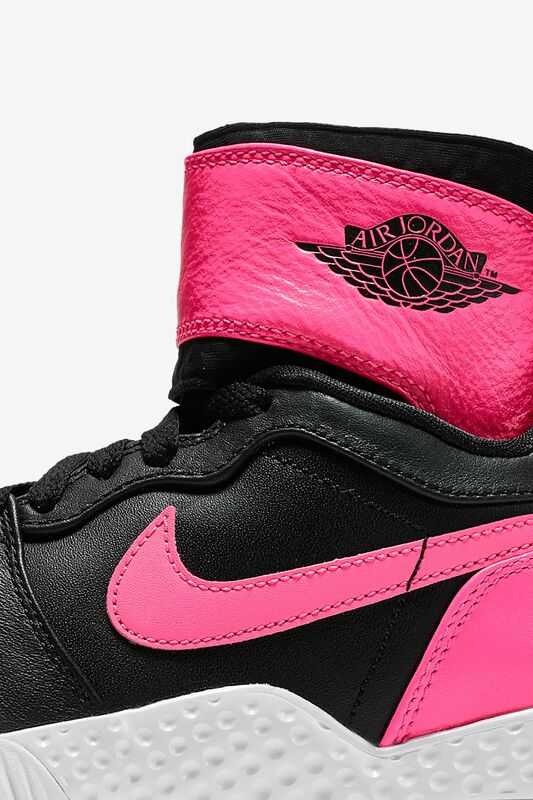 No matter the season, and no matter the latest record or ever-growing win total, her attachment to the first Air Jordan remains a constant. 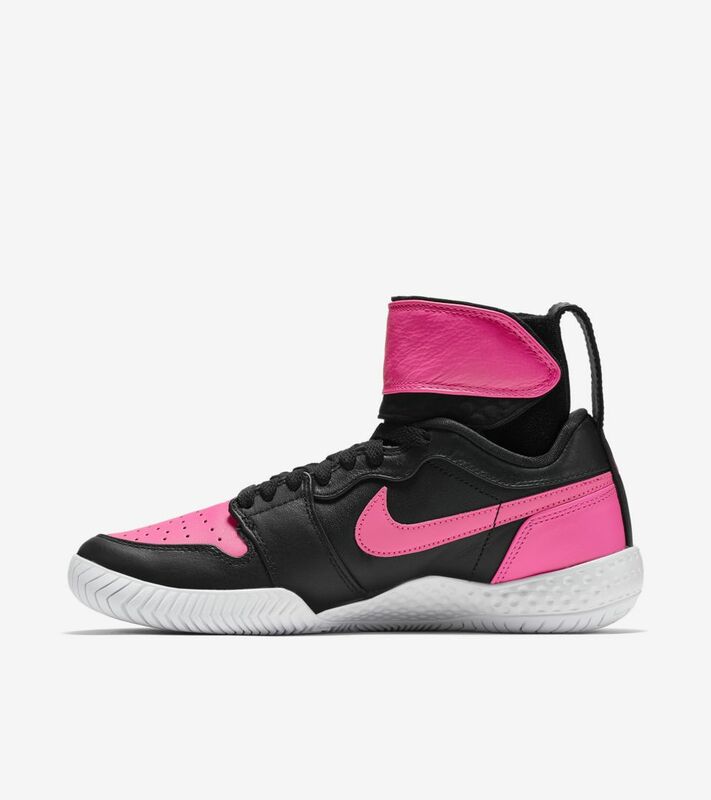 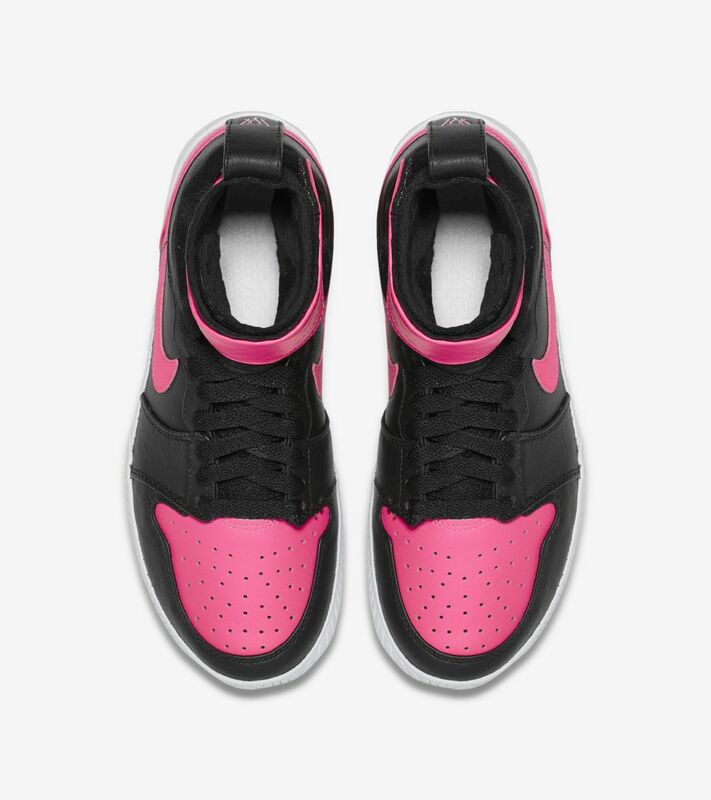 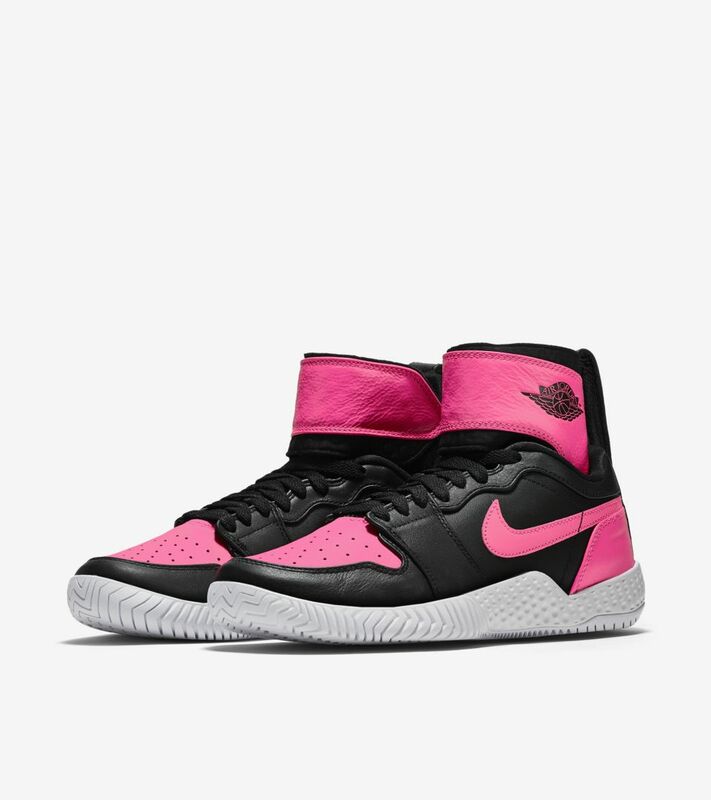 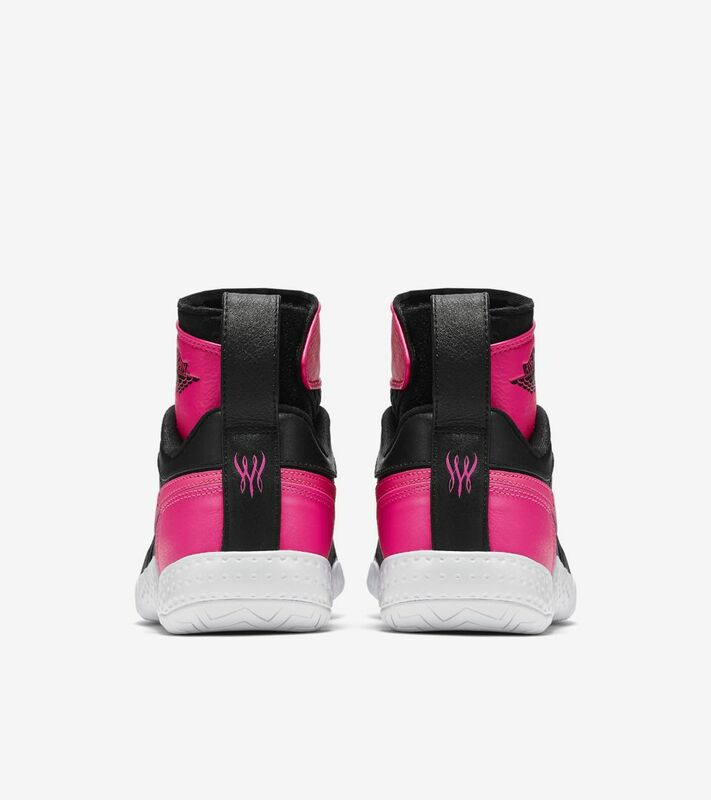 In celebration of her first love and history-making 23rd title win, NikeCourt and Jordan Brand present the exclusive women's NikeCourt Flare AJ1, inspired by the Air Jordan I and Serena’s affinity for bold, statement-making colors. 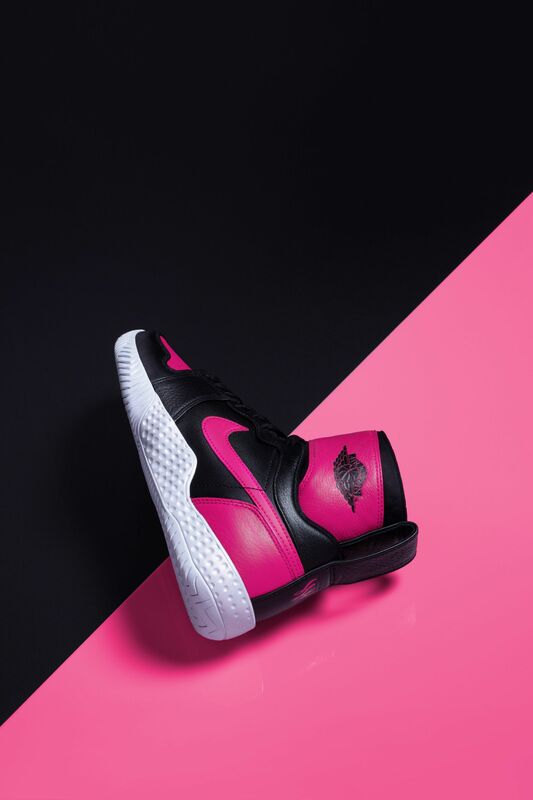 Black and pink hues cover the performance-ready silhouette in modern style, while the iconic Air Jordan Wings logo adorns the collar just like the MJ original. 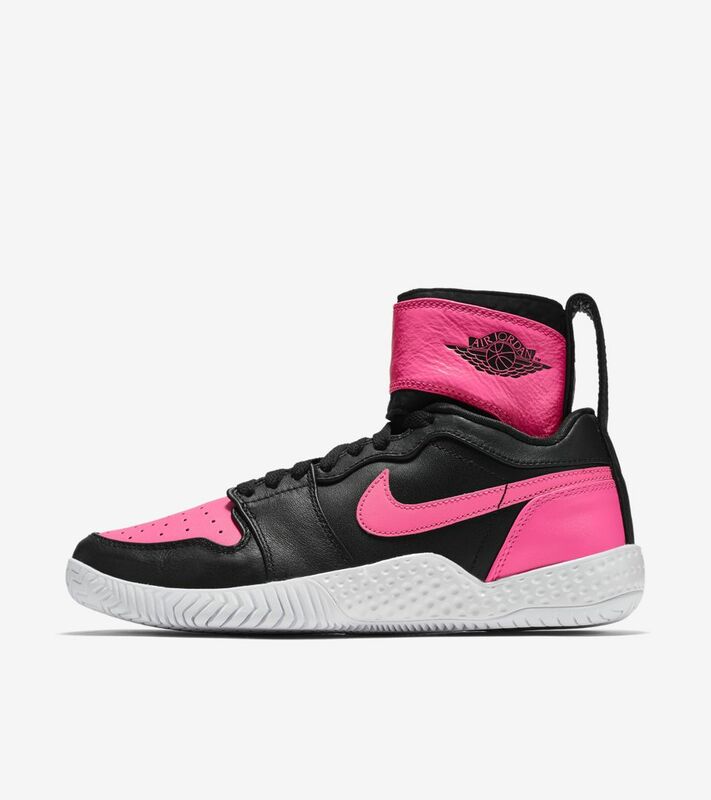 From one G.O.A.T. 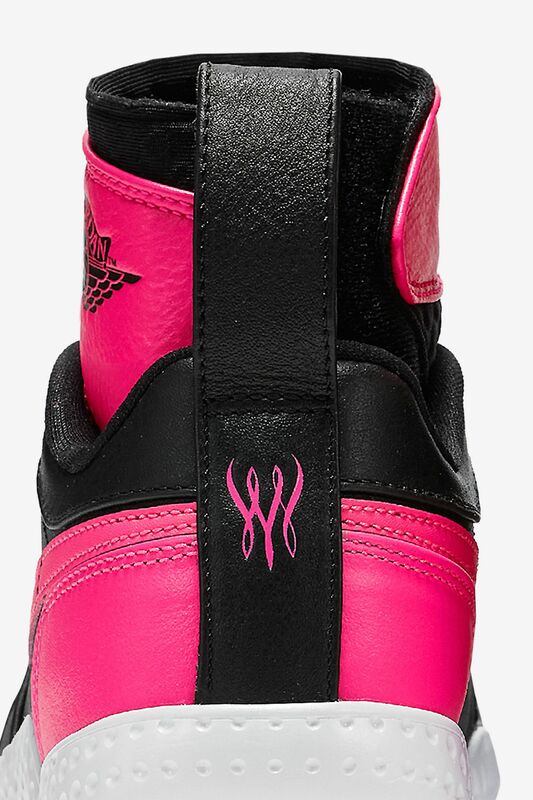 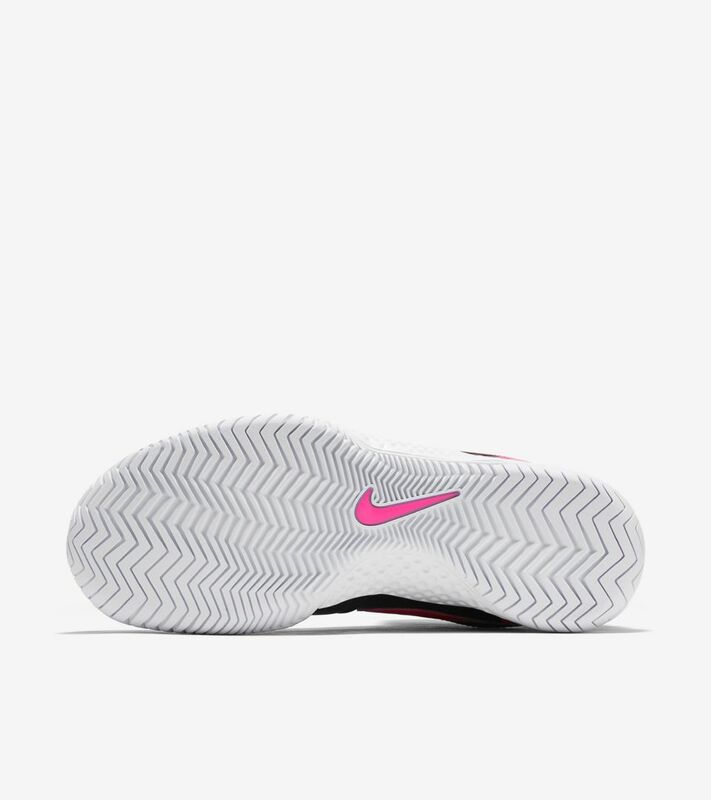 to another, this limited edition sneaker pays unmistakable tribute to the greatest ever.